The HTC One S is one of three randomly named models forming part of the new "HTC One" series of smartphones, including the One X and One V. You wouldn't guess that the One S is actually the middle of the range from the "S" at the end of the name, but it is. This smartphone sits very much in Samsung Galaxy S II territory, featuring a 1.5 GHz dual core processor, 1GB of RAM with 16GB of internal flash memory, a 4.3" 540 x 960 pixel display, 8 megapixel primary camera with 1080p HD video recording plus a secondary 1.3 megapixel unit on the front and the Android 4.0 operating system. Like the other two HTC One handsets, the One S has a dedicated imaging chip, Beats Audio and all the other features that come with an Android smartphone including GPS, WiFi, 3.5G support and Bluetooth. 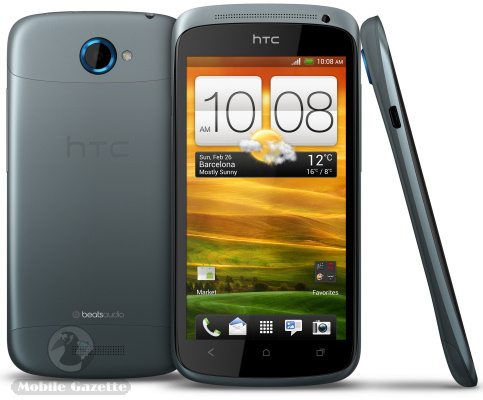 Despite the powerful and up-to-date specifications, the HTC One S is rather unexciting to look at and is unlikely to impress your friends. However, the combination of Android 4.0 and a powerful feature set should make this a very good handset to use, even if it does seem rather dull at first. The HTC One S measures 131 x 65 x 7.8mm and weighs 120 grams, making this HTC's slimmest handset to date. Inside is a relatively large 1650 mAh battery, and it's worth noting that the One S takes microSIM cards only. If you can contain your excitement, the HTC One S should be available from Q2 2012 onwards.